On July 14, 2011, we had a wonderful interview with Derek Sivers, entrepreneur and musician and author of the best selling book, Anything You Want: 40 Lessons for a New Kind of Entrepreneur, who founded CD Baby at 27 and sold it ten years later for $22 Million which he largely gave away. 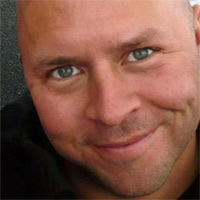 Derek Sivers is best known as the founder of CD Baby. A professional musician (and circus clown) since 1987, Derek started CD Baby by accident in 1998 when he was selling his own CD on his website, and friends asked if he could sell theirs, too. CD Baby was the largest seller of independent music on the web, with over $100M in sales for over 150,000 musician clients. After he won the 2003 World Technology Award, Esquire Magazine’s annual “Best and Brightest” cover story said, “Derek Sivers is changing the way music is bought and sold… one of the last music-business folk heroes.” In 2008 in his 30’s, Derek sold CD Baby for $22 Million, which he largely gave away. Now his focus is on his new ventures to benefit musicians, including his new company MuckWork where teams of efficient assistants help musicians do their “uncreative dirty work”. His current projects and writings are all at sivers.org. He has just published his first book, the bestselling Anything You Want. He and his wife are currently living in Singapore. Ronnie Overgoor in Rotterdam, Holland. (Warning: swear words). It’s small (77 pages), well written, and intends to give you ten years of experience in one hour. It also comes with free MP3 Download links to his favorite music–a huge amount (242 songs, 1.5 GIGS). “One of the best hours you’ll ever spend will be reading Derek Sivers’s new book, out today, Anything You Want….This book…astonished me with the sheer concentration of fresh insights on business and entrepreneurialism, in such a small space. “The book follows the often-gripping story of how Sivers founded CDBaby.com in 1998 with $500, grew it to with no outside investors ever, lead the company through hypergrowth, and sold it for $22 million in 2008 when it had grown too large for his leadership tastes. Right before selling, he donated the company to a charitable trust for music education, so all the proceeds from the sale went to the charitable trust. 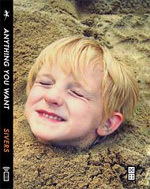 “Sivers uses his own story primarily to illustrate his bevy of practical take-aways….” Full review. CD Baby. In 1997, Derek founded CD Baby, the largest online distributor of independent music. Derek Sivers Sold CD Baby for $22 Million, Giving Most of It Away. Wired Magazine. 10/24/08. Eliminating the time between thinking something and doing it. MuckWork. Derek’s site for outsourcing support tasks for musicians. Ted Talk: How to start a movement. Derek Sivers’ speech to Berklee College of Music: 6 Things I Wish I Knew When I Was Starting at Berklee.